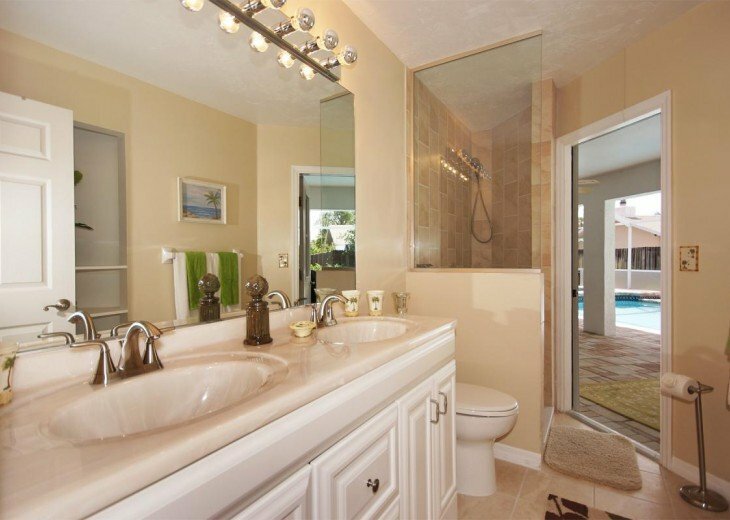 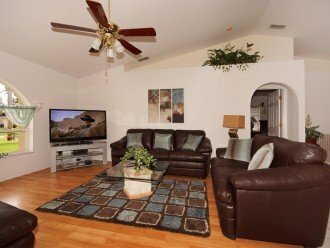 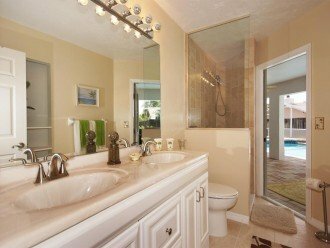 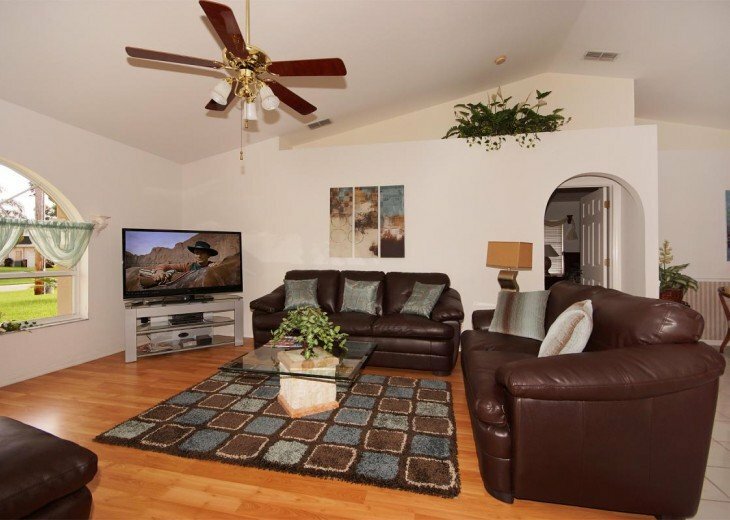 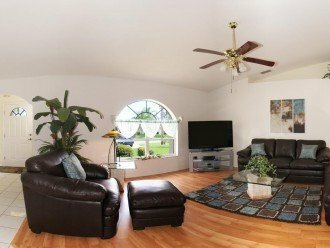 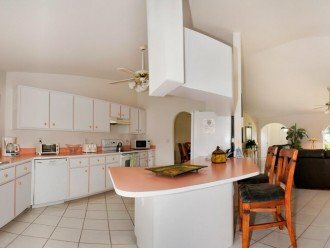 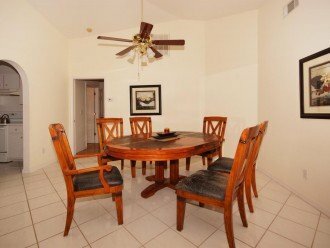 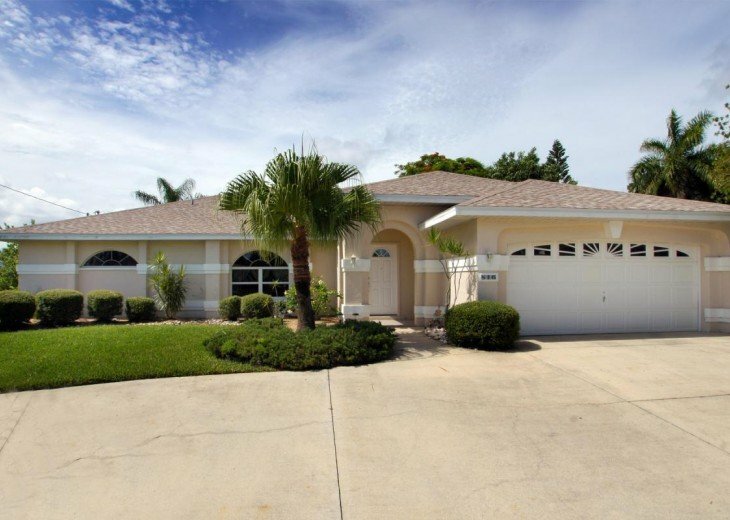 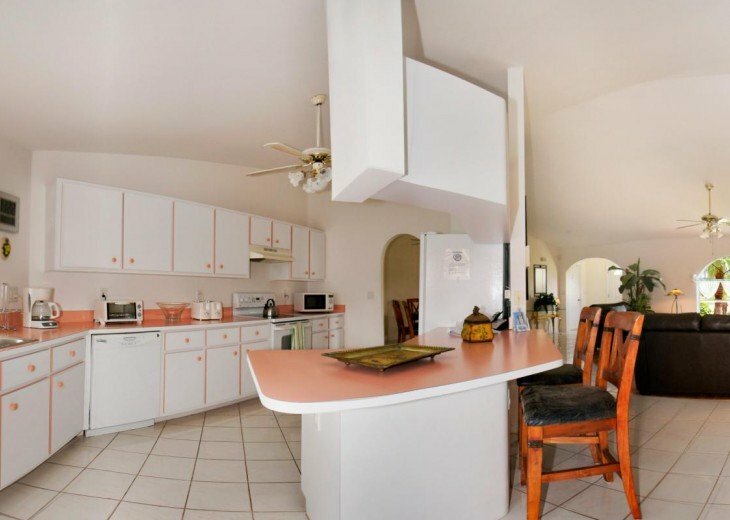 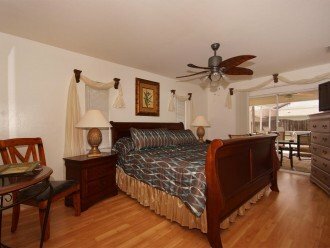 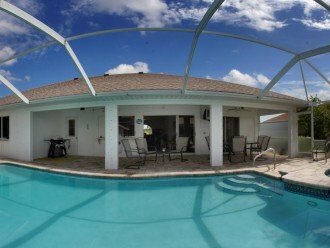 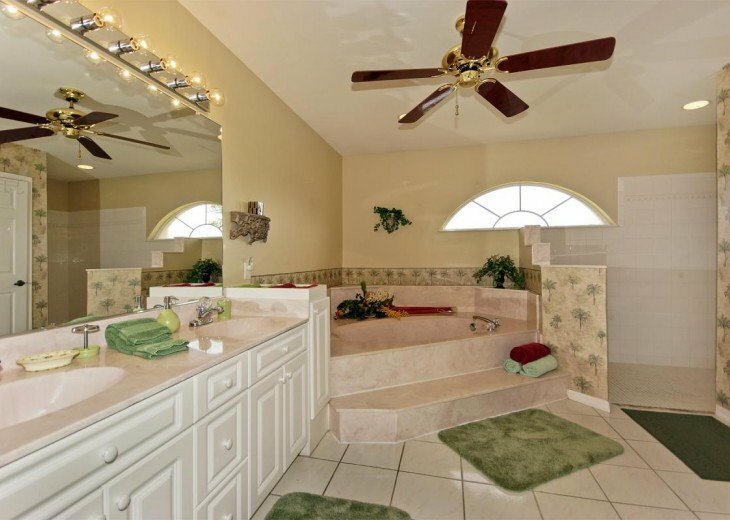 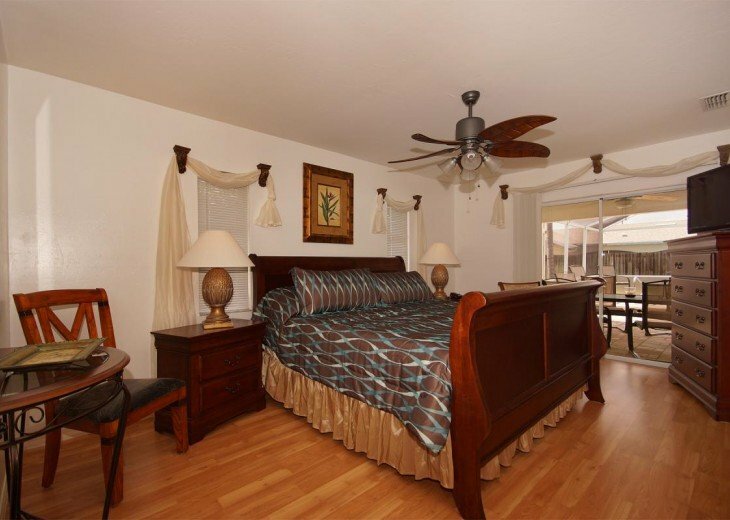 This beautifully furnished vacation home is located in Southwest Cape Coral close to the Eight Lakes area., offering the perfect backdrop for a relaxing yet eventful vacation in Florida. 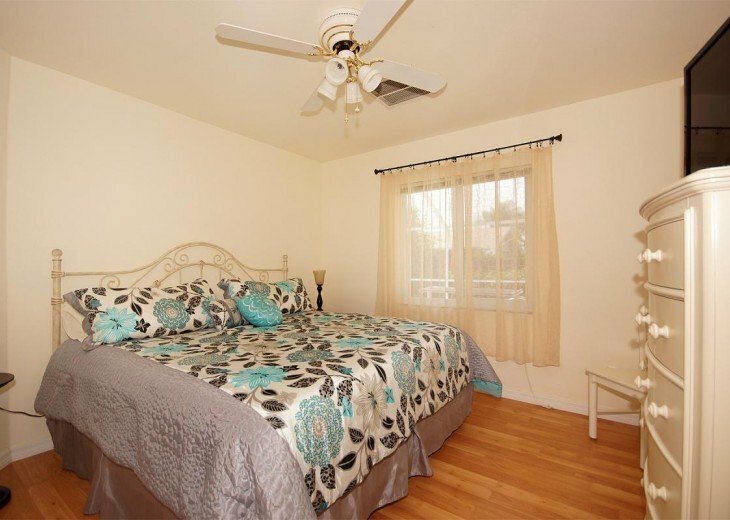 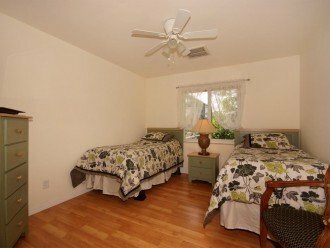 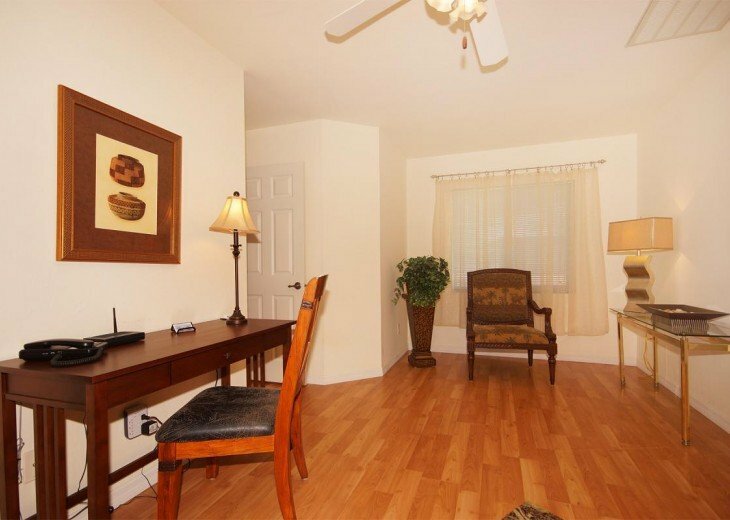 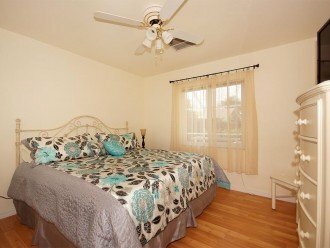 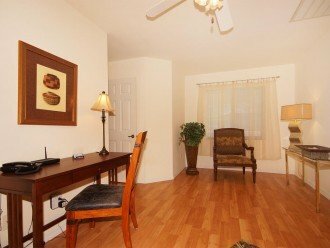 Features include 3 bedrooms (two of which have King size beds, one has two Twin beds, a spacious living room / dining room and an open kitchen so typical for modern Florida homes. 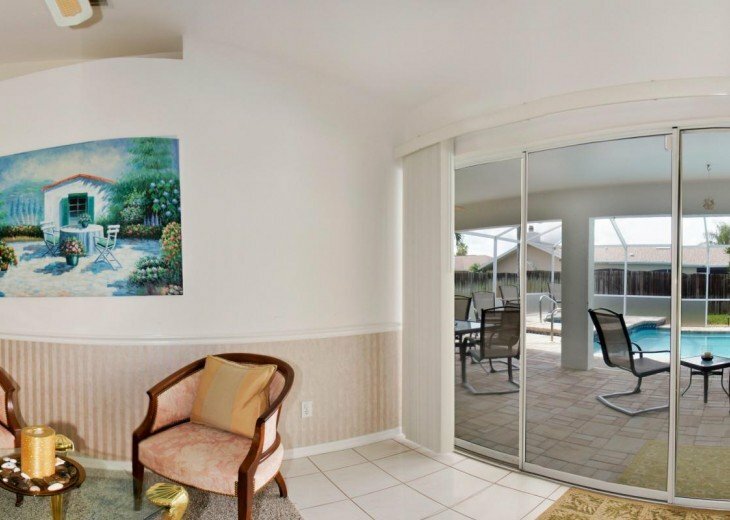 Step out from the living room onto the large, south-facing patio that even includes a TV. 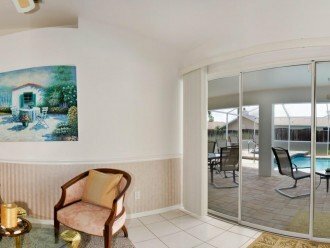 The covered lanai area offers pleasant shade on hot days, and the sun deck is perfect for working on your tan while lounging by the pool. 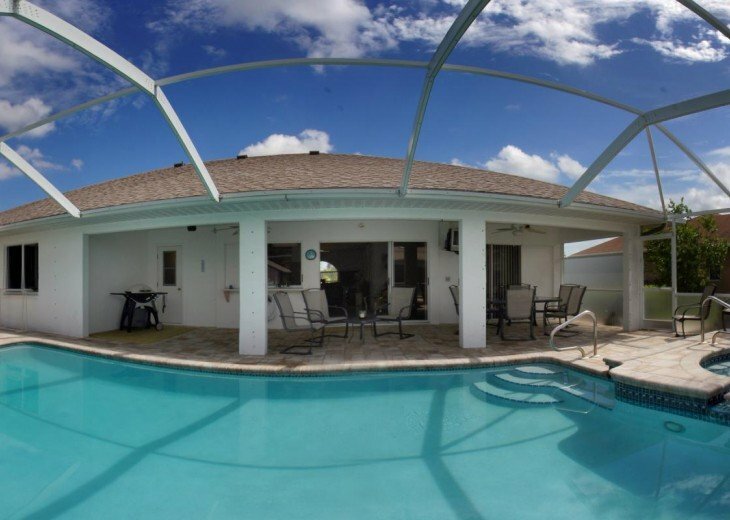 The caged pool area is particularly beautiful and includes a spa as well. 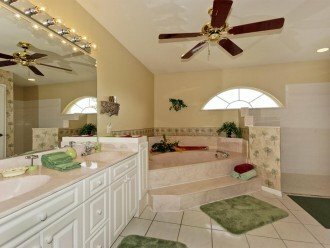 Both can be electrically heated. 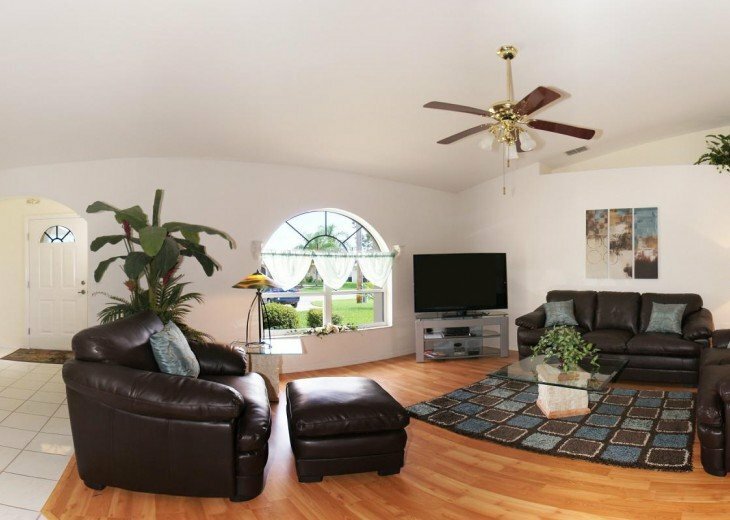 A wonderful place for families to spend a peaceful, unforgettable vacation in Florida.